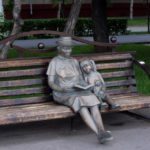 The official name of creation – “Memoirs.” According to the architects, their work symbolizes the transience of time. 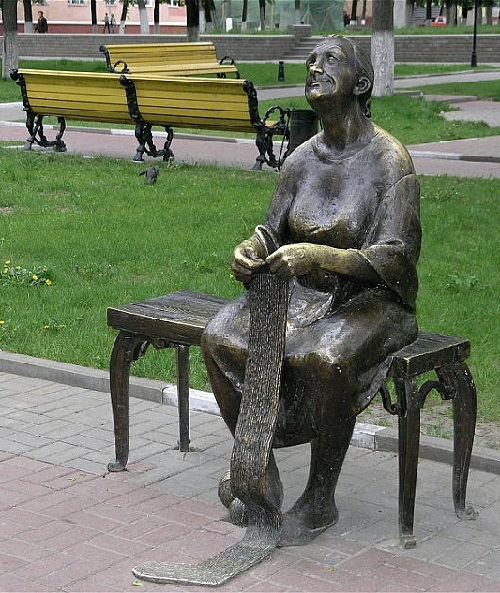 This sculpture was the first creation for the young graduate of the Kharkov Academy of Design and Arts. 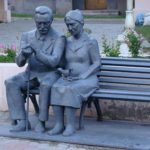 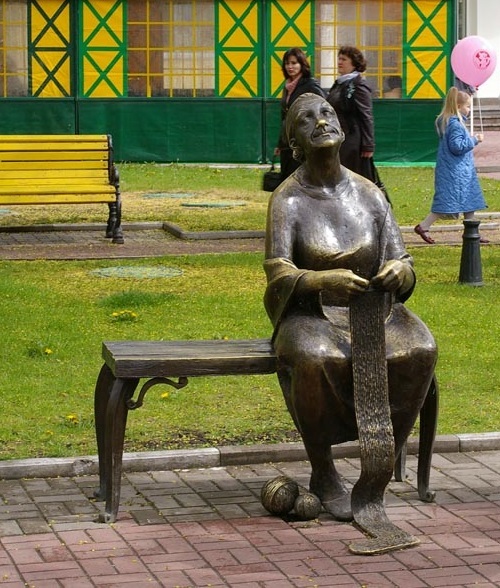 “Granny” was cast in bronze in Kharkov, and for the manufacture of the monument they were given only two months. 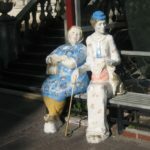 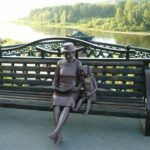 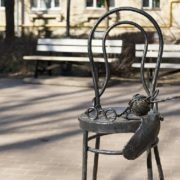 This grandmother sitting on the bench with her grandchildren, was installed in Izhevsk in 2012 specifically for the Day of grandmothers. 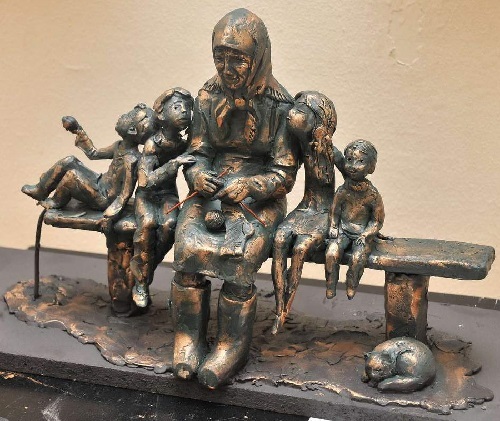 In the announced competition competed nine works, the winner became Moscow sculptor Alexander Doronin. 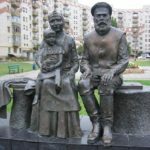 He took into account the wishes of the organizers of the contest and added to his work features of Udmurt national costume. 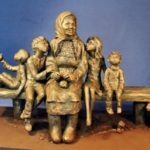 In particular, on the chest of grandmother appeared necklace, a forehead was covered with a special bandage (yyrkerttet) to identify the components of the Udmurt ornament.